Home / asus / mobile / news / Sale Alert: Asus ZenFone 3 Max ZC520TL Is Down To PHP 8495! Apart from the ZenFone 3 Max ZC553KL, Asus Philippine has slightly dropped the suggested retail price of the lower-end and smaller ZenFone 3 Max 5.2 in PH too! 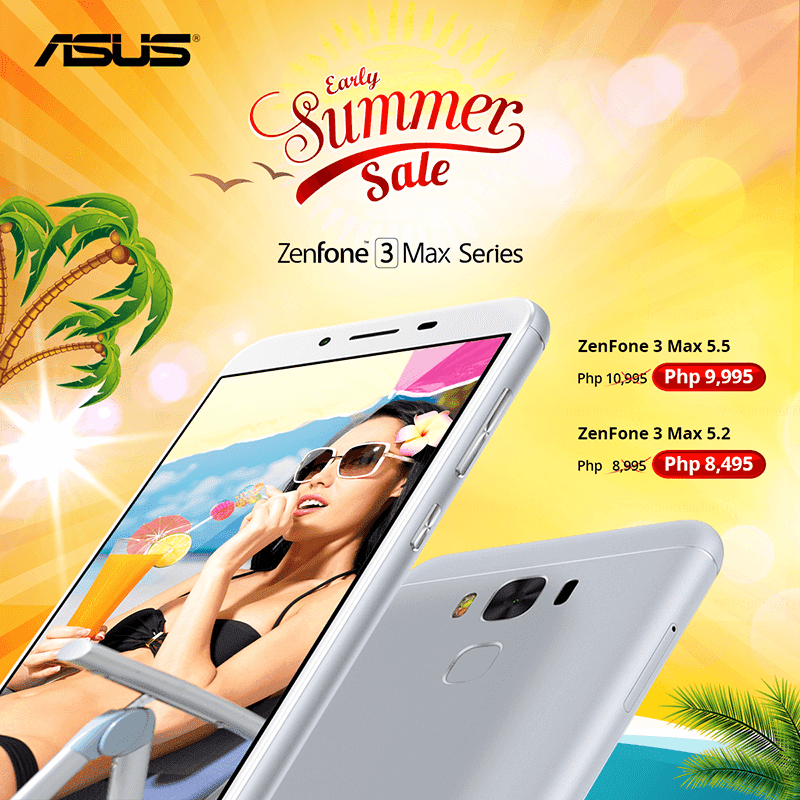 Asus early summer sale for the Zen 3 Max units! As a quick recap, the said device is a metal clad and premium looking 5.2 inch handset w/ decent specs and big 4,130 mAh of battery capacity. It also has a capable 13 MP f/2.2 main camera, LTE connectivity, and fingerprint scanner behind. From PHP 8,995, the ZenFone 3 Max 5.2 is now PHP 500 more affordable at just PHP 8,495.